This June 24 participants from Latin America and the Caribbean completed the training course on “Experimental economics with applications to the environment” by EfD-CA partner, LACEEP at CATIE. 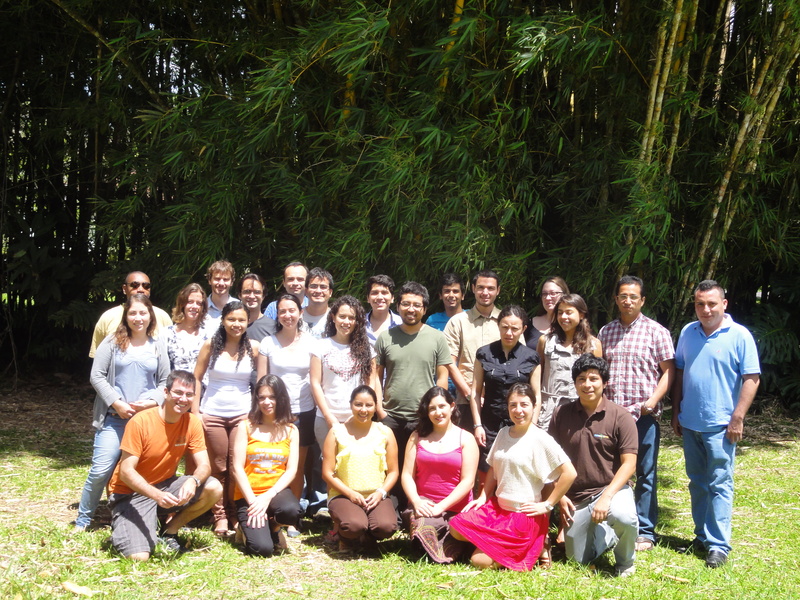 EfD-CA’s partner, the Latin American and the Caribbean Environment and Economics Program (LACEEP) hosted its VII Environmental and Resource Economics Training Course in CATIE, Costa Rica. LACEEP is a capacity building effort that provides research grants in environmental and resource economics to Latin American and Caribbean (LAC) researchers. It provides not only financial support, but also meetings, close advice and supervision by specifically appointed scientists, access to literature, publication outlets, and opportunities for comparative research. This year’s course was on “Experimental economics with applications to the environment” was taught by Professor Peter Martinsson from the University of Gothenburg in Sweden and EfD. He is also EfD-Sweden Research Fellows and EfD-CA International Associate together with Dr. Wollbrant Conny, Guest Teacher at University of Gothenburg. The course started on Monday June 3 and ended Saturday June 15, 2013. The objective of the course was to enhance knowledge and skills for understanding how human behavior typically deviates from the conventional "economic man" model, and to design and interpret economic experiments to test for human behavior. In this course “we covered a broad spectrum of topics, it is very dynamic and highly participatory” said one of the participants. And it must be true. There was a lot of focus on how both laboratory and field experiments can be used to analyze economic behavior, test theories and inform policy-makers. Participants also went through several practical training sessions on how to conduct experiments and to design an experiment on their own.